Gerard's Bistro has been awarded a number of food critic awards and so I was excited to experience and test the hype. I was NOT disappointed as it was one of the most memorable lunches I have experienced. Sometime you read a menu of dishes you have never imagined and it's the start of a gastronomic journey that sends you into spiral of rapture. Welcome to Gerard's Bistro. Accompanied and being treated by two friends on a lazy Sunday luncheon, we ordered a total of five dishes as was recommended to us by our amiable and familiar waiter. We found the quintet of dishes ample recognizing the hour of the day. Starting with the mackerel and piel de sapo melon tartare, orange blossom, chive and crisp scales which were fresh and light, making for a great starter. We followed this with the free range duck breast, caramelised pumpkin, quince, sour golden raisin and oat with caramelised pumpkin which could not have been bettered. Any non-duck lovers will be converted once tasting the Gerards dish. The fried cauliflower, tahini, ras el hanout, smoked almonds and pomegranate were unlike anything I had tasted previously and turned the humble cauliflower into the totally exotic. The Persian speciality "Morasa Polow" being jeweled rice with sour berries, saffron, almonds and pistachio was delicious - say no more. The final dish was the coal-grilled broccolin with kale, shallot oil and lemon. Every plate was amazing and complemented each combination of flavours. Glasses of wine flowed with us talking about the food and enough time passed so we realised we could easily share a desert plate. 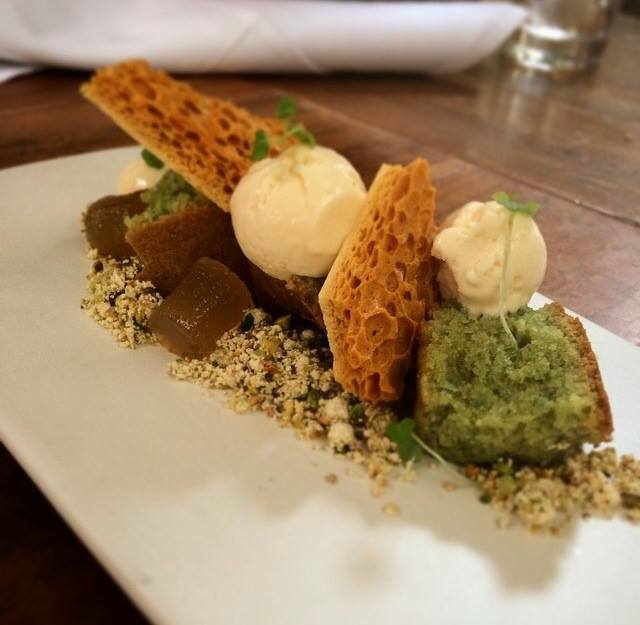 We choose just one from an amazing selection being Pistachio financier, halva cake with textured rooftop honey. The combination of flavours and textures were divine making it a perfect ending to a perfect meal. Located in the James Street eating precinct the bistro is tucked away off the road in a fresh but intimate setting. The decor is a modern take on retro with timber shelving jutting out at erratic levels. 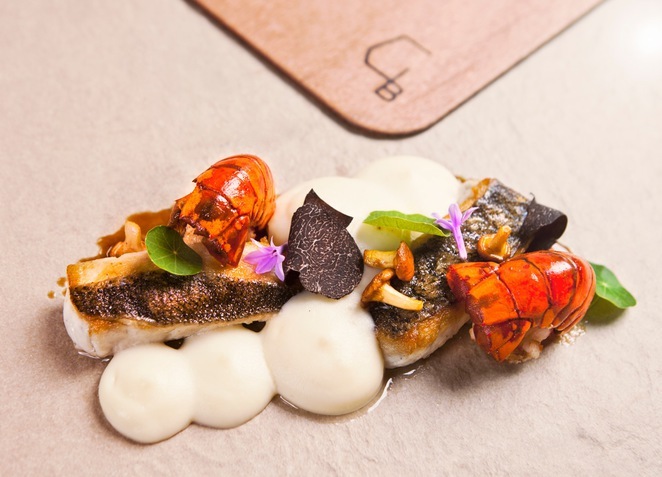 Its own website proclaims it as 'one of the most sought-after bistros in Brisbane today.' And a 'one-of-a-kind dining experience.' It certainly lived up to its deserved reputation. A cheap eat it is not but you do get value for money although don't expect large portions for a main menu in the mid-twenties. For bookings call 07 3852 3822. It is open for dinner Mon: 6:00pm – Late; Tues – Sun: 12:00 pm – Late; and breakfast Sat & Sun: 8am – 11:30am. 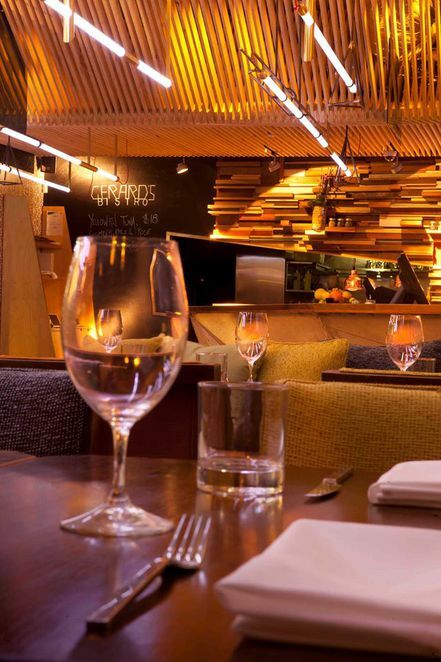 The restaurant is located at 14/15 James St, Fortitude Valley. Pub Choir - Choir, in a Pub!